Set in the same time and place as Gilead, Glory and Jack Boughton have returned home to try to heal themselves and the family as their father is dying. Home begins simply, eschewing obvious verbal fineness, and slowly grows in luxury—its last fifty pages are magnificently moving, and richly pondered in the way of Gilead. 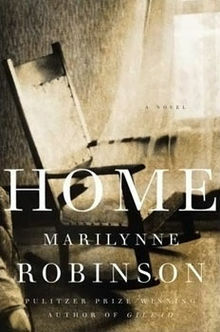 Home is not a sequel to that novel but more like that novel’s brother, since it takes place at the same narrative moment and dovetails with its happenings … What propels the book, and makes it ultimately so powerful, is the Reverend Boughton, precisely because he is not the soft-spoken sage that John Ames is in Gilead. He is a fierce, stern, vain old man, who wants to forgive his son and cannot. Gilead and Home stand together, in part, as twinned portraits of these godly, elderly patriarchs … Even as Robinson’s deep and unsentimental fondness for Ames and Boughton is as evident as their devotion to each other, her judgment of them and what they represent is uncompromising and severe. Home is a book full of doubleness and paradox, at once serene and volcanic, ruthless and forgiving. It is an anguished pastoral, a tableau of decency and compassion that is also an angry and devastating indictment of moral cowardice and unrepentant, unacknowledged sin … Home and Gilead are marvelous novels about family, friendship and aging. 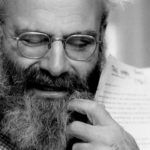 But they are great novels — or perhaps two installments in a single, as yet unfinished great novel — about race and religion in American life. Robinson moves beautifully into and out of Glory’s thoughts; indeed, she works almost as if Glory were a first-person subject. We never enter the mind of another character, but from dialogue we can guess at the changes in their thoughts. The limited third person may express a kind of conviction on Robinson’s part; certainly, it accords with Glory’s heart-laboring attempt to see into the lives of others … Robinson attends to permanent departures, and these acts of rupture condense that condition of not knowing, of never being able to know, that she sees in all of our understandings. What did you think of Home?